When you are locked out of your own home it can be a very unpleasant experience; you don’t want to keep waving at your neighbors as they make way into their apartments while you look all tensed. Huntington Park Locksmith guarantees that we will be there in no time and also help you open up your door. We have experience and also the technology to solve any kind of locksmith problem you might have, we service every type of lock from old-fashioned mansions to modern modular homes. Therefore our experts will help you through any situation you find yourself in your own house. On some days, you may forget and leave your master key your house before leaving for an outing or misplace those keys while sorting out your daily activities; it is not such horrible a situation. We can handle it there is no need to panic! 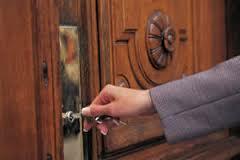 Huntington Park Locksmith provides you with the lasting solution to keep your mind at rest. You don’t have to bother about burglars when you have the right locks on your door. We install the best quality security lock for your doors and guarantee you customer satisfaction with any of the installations and services we provide you with. Installation of CCTV surveillance is just another great security option that gives you the safety your home requires; you get to monitor your home and keep an eye on your environment. Our locksmith will help you install surveillance cameras and security systems with the highest quality. Of course we will only offer you the best we have.